You are currently browsing the tag archive for the ‘Flavia de Luce series’ tag. For the aficionados of crime fiction set in the era of changes and mysteries that was the fifties, the ‘Flavia de Luce’ series by Canadian writer Alan Bradley should be just the thing. The series numbers four volumes at present (The Sweetness at the Bottom of the Pie, The Weed that Strings the Hangman’s Bag, A Red Herring Without Mustard and I Am Half-Sick of Shadows) with a further two volumes scheduled for publication over the next couple of years (Seeds of Antiquity, The Nasty Light of Day). The books are set in the early 1950’s in the British countryside, and one element that sets them apart from other crime fiction is that the story is recounted from the point of view of their young protagonist, impromptu detective Flavia Sabina de Luce, an eleven year-old girl with an outstanding passion for chemistry. Flavia is the youngest daughter of an old blue-blooded family, the de Luces, now on the edge of bankruptcy and whose last representatives are Flavia herself and her two older sisters – Daphne, thirteen years old and a bookworm, and Ophelia, seventeen years old, with a passion for mirrors and the piano. The three girls live in a state of almost ideal freedom, allowed to do whatever they please, in a household formed by just the three of them and their father, Colonel de Luce (an introvert and a philatelist), their butler Dogger (a veteran of the World War II, very discreet and knowledgeable, but sometimes plagued by his war traumas) and their cook, Mrs Mullet (a gullible and innocent old lady). The girls’ mother, Harriet, is said to have died in a skiing accident in the mountains, when Flavia was only a baby – but is that the truth of the matter? Throughout the series, Flavia somehow always ends up as the first person to unwittingly stumble upon gruesomely murdered bodies – and a great many murders seem to occur in and around t he sleepy village of Bishop’s Lacey. And besides feeling compulsively drawn to unravel the mysteries surrounding each case, Flavia has to also put up with the constant bullying of her two sisters, allied against her. The question that always bothers Flavia is: why are her sisters so bitterly set against her? And why is her father such a taciturn man, allowing his daughters to run loose, aware of little else beside his love for stamps? But Flavia’s humour, innocence and, most of all, wit, eventually allow her to get to the bottom of each and every mystery that crosses her path. 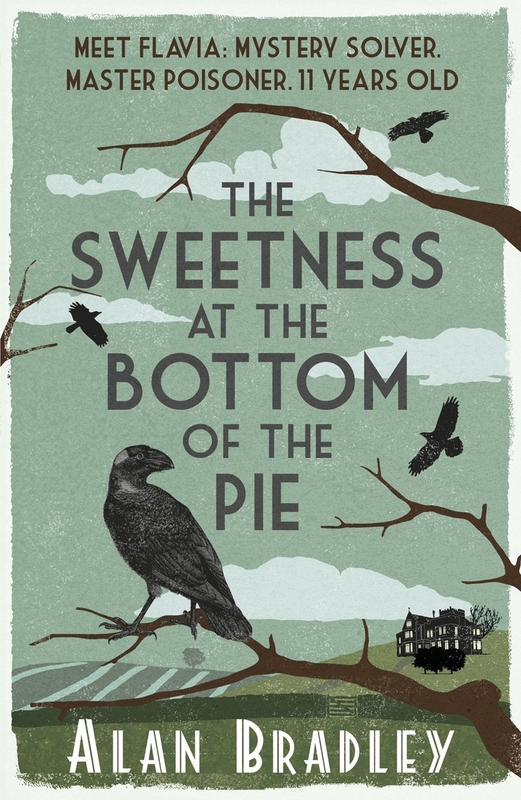 In The Sweetness at the Bottom of the Pie, she has to find out what happened to the man who lies murdered in her family’s cucumber patch (of all places!). 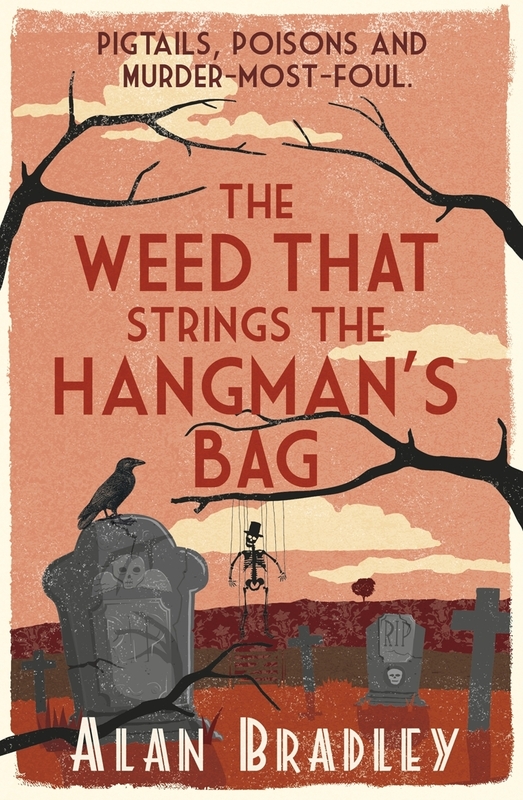 In The Weed that Strings the Hangman’s Bag, a travelling puppet show sets camp in the village graveyard, and all sorts of heavy questions lie behind the lifelike puppets of the master puppeteer. 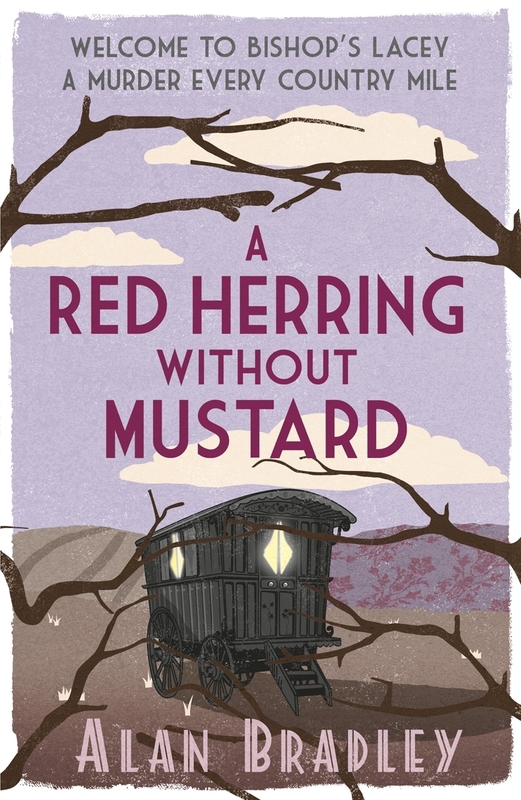 In A Red Herring Without Mustard, Flavia encounters the mysterious Gypsies and has to decide where her loyalties lie: with the old Gypsy woman who foretells ghouls and shadows in Flavia’s future, or with the villagers who accuse the woman of kidnapping and possibly even murder? 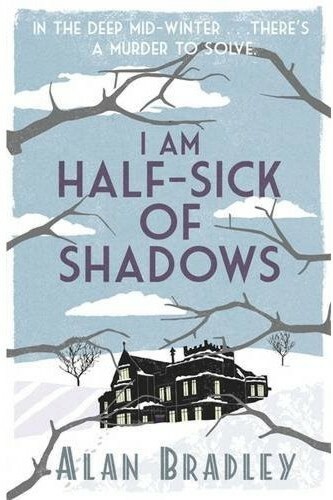 Finally (for now, at least), in I Am Half-Sick of Shadows, Flavia has to investigate how and why a beautiful and popular actress was killed – right under Flavia’s nose, while shooting a film in the de Luce manor! Moreover, another good thing about the ‘Flavia de Luce’ series is that it needn’t necessarily be read as such. All the books are connected in some ways, but their plots are self-contained enough to allow being read independently. So each volume can be enjoyed as a satisfying mystery all by itself. If we have piqued you interest so far, you can listen to a couple of extracts from the first volume here, on the publisher’s website. You can of course find the books at Nautilus.